The finalists of the American Photography Open 2018 contest have officially been announced. Congratulations to Susan Cannarella (Connecticut); Jose Maria Perez (Argentina); Stephen Hikida (Ohio); Alessandro Marcello (Italy); Debdatta Chakraborty (India); Chee Keong Lim (Malaysia); Mauro De Bettio (Spain); Zay Yar Lin (Singapore); and Kristofer Dan-Bergman (New York City). Nine of these finalists receive prizes, including a Tamron 35/1.8 VC lens, a SanDisk SD card, a ProMaster Specialist tripod, a PhotoShelter 1-year Standard Account, a custom 16x24 Museum Quality print in a contemporary wood frame from Digital Silver Imaging, and the chance to participate in a Photo Walk conducted by Jonathan Thorpe, a Tamron Image Master, in New York City during PhotoPlus Expo on October 25. 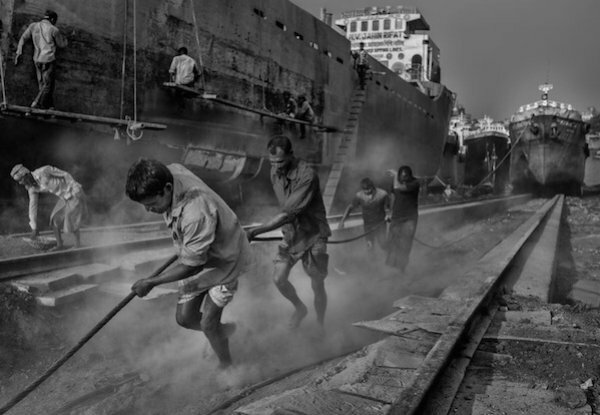 Their winning work will also exhibited at the PhotoPlus show in the Digital Silver Imaging booth. We will be announcing of the $5,000 grand prize winner there on Friday, October 26. The American Photography Open 2018 competition was open to all photographers at any level. The work of the finalists, which we spotlight today, was remarkably varied in subject and style but consistently creative and executed with great skill. “I knew the chances were low that I would be a finalist, but there was always hope in my mind,” says Jose Maria Perez, who is based in Buenos Aires, Argentina. 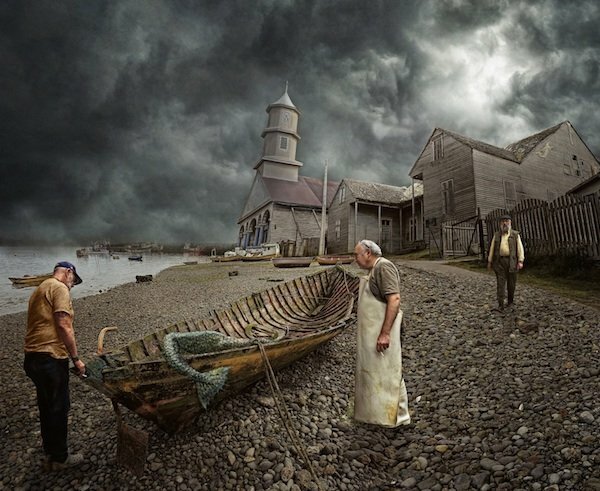 His winning photograph, titled “Sirenas” (above) shows a group of onlookers examining what looks like a mermaid brought ashore by a local fisherman. “It is indeed a mermaid — if you really believe in mermaids of course,” says Perez. “The shot is a part of a series called ‘Fairy Tales,’ and this particular element is about the myth of the mermaids.” See Jose Maria Perez's Instagram page. 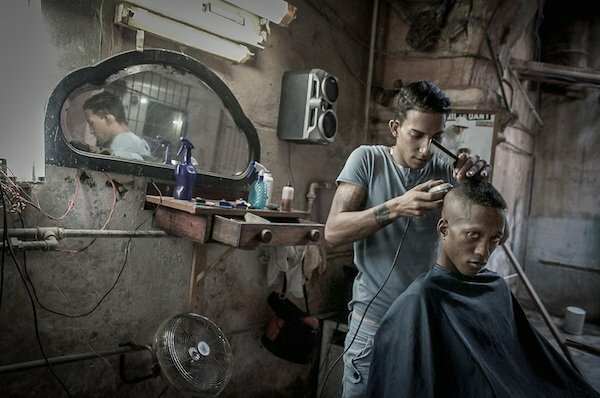 Susan Cannarella, from Rocky Hill, Connecticut, earned a spot among the AP Open finalists with her photograph “Barber Shop, Havana” (above). See Susan Cannarella's Instagram page. 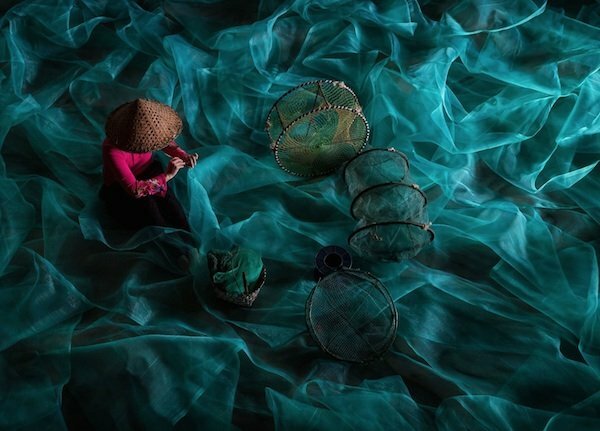 Zay Yar Lin of Singapore was named a finalist for his aquamarine-tinted photograph “Mending Fishing Nets.” See Zay Yar Lin's Instagram page. 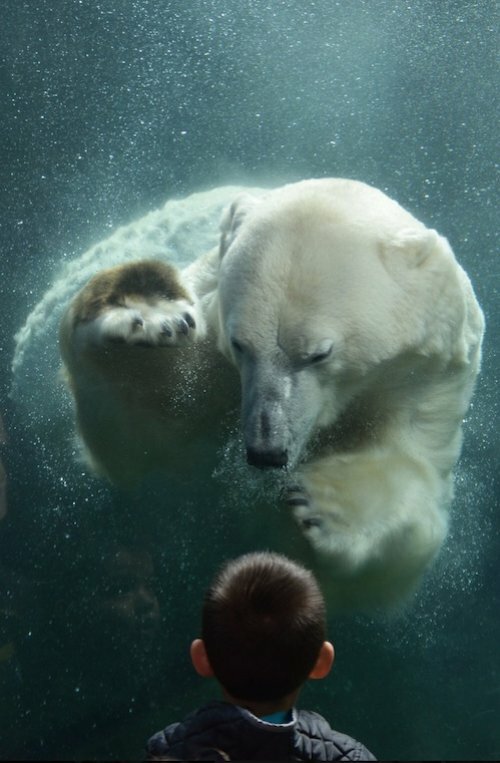 The winning image by Stephen Hikida, “Zander and the Polar Bear,” was taken during a visit to the Columbus Zoo and Aquarium in Columbus, Ohio, where Hikida lives. “The polar bears were laying around and my son wanted to see the trout in the pool from the underwater viewing area. We went down, I worked on getting the exposure right, raising the ISO and shutter speed to compensate for the darker area and took a few pictures of the trout when there was a big splash and the polar bear swam by. As it passed, it saw my son and turned back, floating in front of him for a few seconds, seeming to stare at him, then it swam away as people began streaming down to the area. In many ways, I was quite lucky, as I had just adjusted my settings and shutter, as well as being down there when most people wouldn't have been. It was truly a magical moment. Chee Keong Lim, from Pahang, Malasia, created his finalist image “Praying 1864” on a trip to Myanmar. “I like Myanmar very much — I have visited there more than a dozen times over the years,” he says. “This image is one of the more satisfactory works I’ve made there, but it’s definitely not the only one. Myanmar is a Buddhist country. 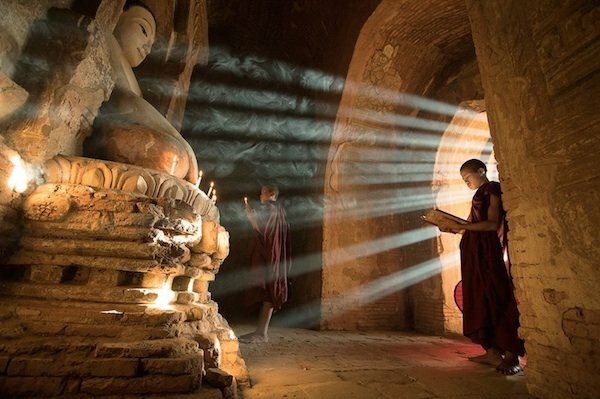 The people are sincere Burmese people who love Buddha.” See Chee Keong Lim's Facebook page. Alessandro Marcello, who lives in Savona, Italy, took up photography three years ago as a way to preserve family memories. But, he says, he quickly became passionate about the art and began attending photo courses and workshops. 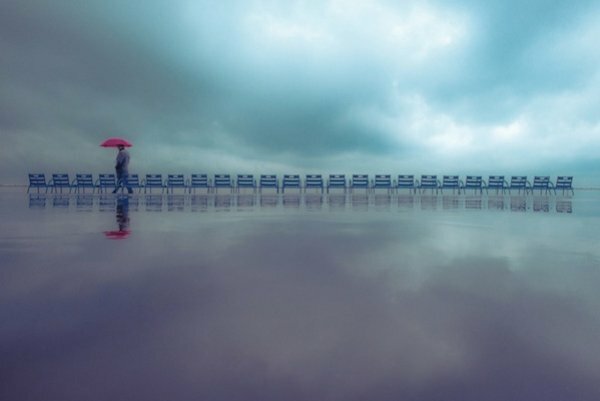 His winning image, titled “Umbrella,” was taken on the taken on the coast of Nice, France, two hours from his home, during a rainstorm. Having spent the day looking unsuccessfully for a scene of visual interest, Marcello was ready to give up. Then he saw a man walking toward him carrying a red umbrella. “I felt a strong expectation— I was almost astonished that everything was happening as I imagined in my mind,” he recalls. See Alessandro Marcello's Instagram page. 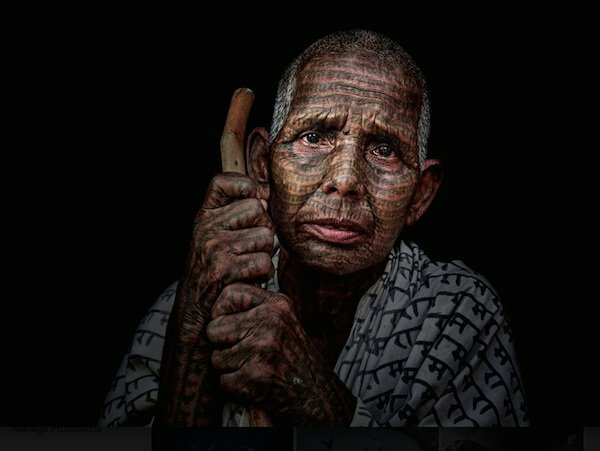 Another photographer from Italy, Mauro De Bettio, was named a finalist for two images. 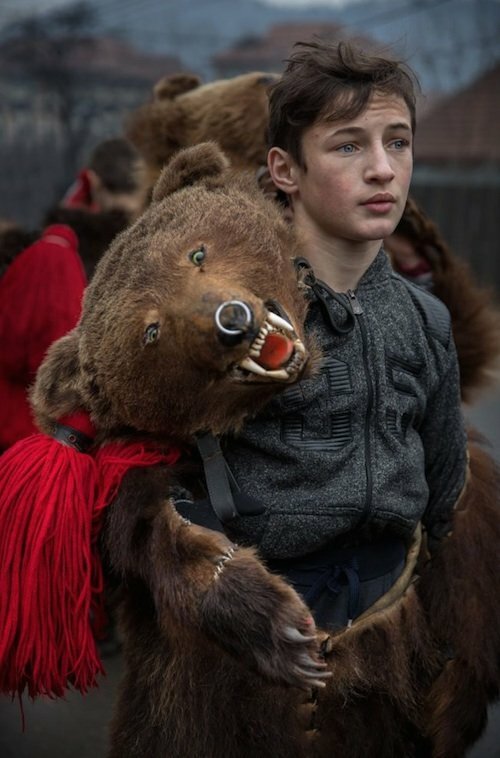 The one above is titled “Chasing Spirit,” taken at a festival on New Year’s Eve in the north of Romania. “When I choose a project I always start a long research first. I want to tell a story and create an image able to incite emotions,” says De Bettio. See Mauro De Bettio's Instagram page. The winning image from New York City-based photographer Kristofer Dan-Bergman comes from a series titled “stiLife.” “I was at the house of a friend who is a painter when I realized what beautiful light he had in his living room/studio,” recalls Dan-Bergman. “There was a blank canvas leaning against the wall, and I asked him if I could take a few photographs of him in front of the canvas. I also took a photograph with only the blank canvas. When I got home I looked at the images and thought this blank canvas idea was great. I asked my friend if I possibly could to a few sessions there. That’s how the series ‘stiLife’ started. When I start shooting I don’t really know what the final product will be. I basically collect raw material for post-production, so the real creative part starts in front of the computer. The woman in 'stiLife 1’ is a dancer/model and a waitress. The series now has about seven to 10 final products.” See Kristofer Dan-Bergman's Instagram page. Please go here to see a video on the finalists. alessandro marcello commented on: October 1, 2018 at 9:44 a.m.
Arthur Johnson commented on: January 1, 2019 at 6:03 p.m.
Alessandro Marcello, I love your photo and think it stands out from the rest as free of artifice and exquisitely composed. I will follow you on Instagram. Brett Longley commented on: October 2, 2018 at 4:41 a.m.
Chee Keong Lim's entry is superb but his comment about 'sincere Burmese people who love Buddha' rings a little hollow when the same people who espouse the Buddha's noble eightfold path also commit or condone genocide against the Rohingya people. Where is the principle of ahimsa (non-violence); where is right speech, right action, right livelihood? Arthur Johnson commented on: January 2, 2019 at 1:49 p.m. The rays of light in this photo bother me. I just don't see how they could have been emitted from natural sources. The geometry baffles me unless they were added in post.